My previous blog was a slight satire on modern technology and about the way that sometimes the old ways are the best. As if to prove a point, a potential disater was averted by the mere push of a button....or two. 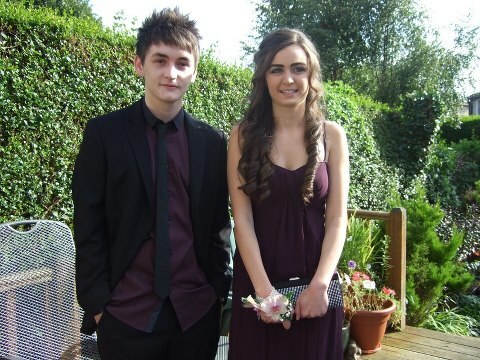 My nephew Niall headed up to a Debs in the big smoke of Dublin! Not only that, it was also his 19th birthday. I called into his Dad and Mum's house later that evening, to find them in a bit of a dither! Niall had just texted to say that he hadn't brought his ID as he didn't think he'd need it at a debs. He wasn't being let in. b) bring him home by the hasp of the arse for not bringing it in the first place. I sprung into my MacGyver mode. I whipped out my iphone, took a picture of the relevant page of his passport and sent it on to him. He received it and showed it to the bouncer who had stopped him from going in. A few seconds later my phone beeped. "I'm IN!!! Tnks a mill Noeleen." Isn't modern technology brilliant..... and this time I'm not being sarcastic!